Last year when I got an iPad I didn't realise how handy it would become in the car for long trips, and even the shorter trips when the toddler is in a foul mood and just wants to be there already! It also comes in handy in 'emergency' situations. Like when those shorter trips turn in to long ones because of unexpected nightmare traffic (2 hours to travel the 45 mins to my Mum's the other week. There is only so many times I can sing the same songs!) or when you the restaurant your at thinks its a good idea to serve the kids meal last and 10 minutes after every adults meal has arrived! 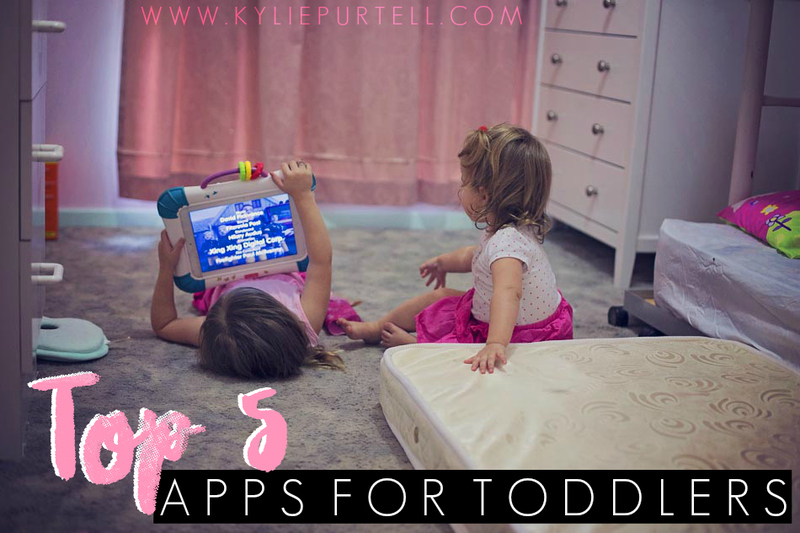 Top 5 iPad Apps for Toddlers! This app has come in handy a couple of times, especially on my phone. It's basically an app that allows you to find and watch episodes of TV shows that have aired on the ABC channels, whenever and wherever you want. So if you're the kids, are spewing that they missed yesterday's fix of Daddy Peppa Pig, never fear. ABC iView can make it appear! (Be warned though, it does require an internet connection to watch episodes). This app from Kids Games Club is the very first app for kids that I downloaded to the iPad. I got it when Punky was just over a year old and back then it was all about the song. Punky loves music so I found apps that were mostly music with an interactive screen so she could bop away to the music. 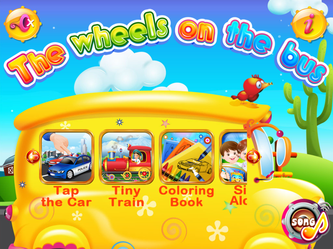 But this app has so much more than just the classic song, it's also got games and activities, even colouring-in pages. Most of the games and activities were too complex for Punky to start with but as she has gotten older she has slowly explored more of the app and can now play quite a few of the activities. There is even a car racing game which we sometimes play together. And while it's full of American voices and the song gets really annoying if the app gets left open, it's still one of the best ones we have. This is one of my favourite apps, and another of the earliest apps I downloaded. It has three songs to choose from, London Bridge, Evening Song and Old MacDonald's Farm and each has an interactive screen with heaps of stuff to touch as the song plays. The artwork is gorgeous and really visually pleasing. My favourite part of the app is the Fox Studio section, where you can choose a base beat and use different objects as instruments to make your own music. Very cool, I highly recommend this app, you'll have just as much fun as the kids. 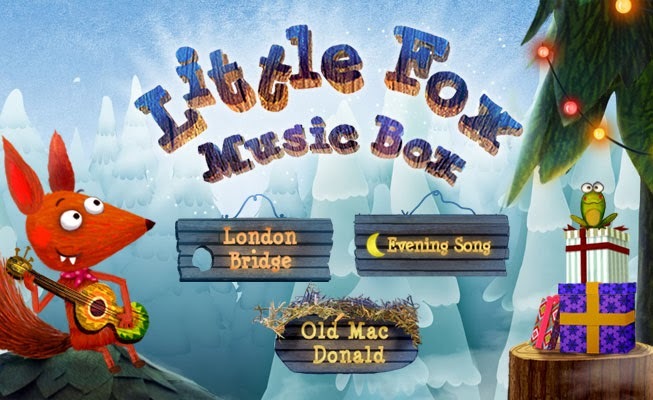 Special mention: The developers of Little Fox Music Box, Fox and Sheep have a couple of other apps one of which, Nighty Night, we also have and love. You visit a farm and go around and put all of the animals to sleep for the night. It's gorgeous and again, has been great for both younger Punky and now older Punky. Now technically this is two different apps but they are from the same developer and are very similar in their style and game play. We actually only discovered Monkey Preschool Lunchbox back in October when we got Dave's new phone. It was on the display iPhone and it was great for keeping Punky occupied while Dave sorted out the paperwork. When I went to download Monkey Preschool Lunchbox to the iPad I discovered the second app, Monkey Preschool Fix It so I got both. These apps are now two of Punky's favourites. Learning games, they are all about shape, letter, number and colour recognition, and include fun little puzzles and memory games as well. This is one of those apps that I really love to watch Punky play and she gets better every time; her colour recognition alone has really improved since we got this app. Each little game flows right in to the next and there is no menu or anything that the kids have to go through to start playing, it just launches straight away. Lunchbox is the number 1 app in the U.S app store and I totally get why. Highly recommended. I got so excited when I saw an ad for this at the end of an episode of Play School because I knew that Punky would just love it. And she does! 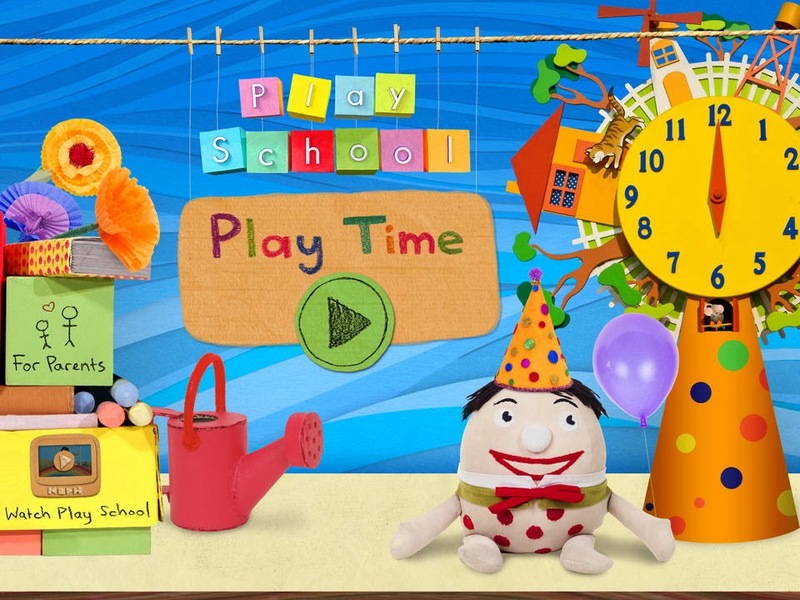 Filled with all of the Play School favourites, the app centres around Humpty and his birthday. The main 'menu' is the Play School Hickory Dickory clock, and you choose a time to play a different game or activity. For instance, in the morning hours Humpty has to get dressed, eat breakfast or check the mail for his birthday cards. You also help Humpty plant and water a garden, decorate his birthday cake and play on a trampoline with Jemima, Big Ted and Little Ted. You also help Humpty get ready for bed in the night hours, by giving him a bath, and then when you've turned off the lights you can explore Humpty's bedroom with a torch while he sleeps. The Play School Play Time app features the voice of popular presenter Teo, and one of the female presenters, I think it's Emma, but I'm not 100% sure. What I love about the app is the variety of things for the kids to do, and the early introduction to the concept of time. Not to mention the fact that it's Play School and everything Play School is good! If you have an iPad and a toddler and you don't have this app then you are crazy and you should go to the app store right now and download it! You have been told! What are your favourite apps for preschoolers? What apps do your kids love playing? P.S. This post is in no way associated with any of the brands/developers that I have mentioned above, it's just a little public service announcement for those of you with kids the same age as Punky who might be looking for some new apps to try out.